The information presented on this page was originally released on September 25, 2015. It may not be outdated, but please search our site for more current information. If you plan to quote or reference this information in a publication, please check with the Extension specialist or author before proceeding. Catchot said 70 percent of the state’s grain sorghum acres were planted in pretreated seed last year. In 2015, the percentage was closer to 100. “Insecticidal seed treatments give us 40 to 50 days of control after planting. After that wore off, we had to treat much like last year,” he said. Catchot said growers saw more sorghum midges than normal. If not for sugarcane aphids, the midge would have been fairly easy to control. The pyrethroids that control midges also remove some of the beneficial insects that help control aphids. “We only wanted to apply as needed to avoid flaring sugarcane aphid populations,” he said. 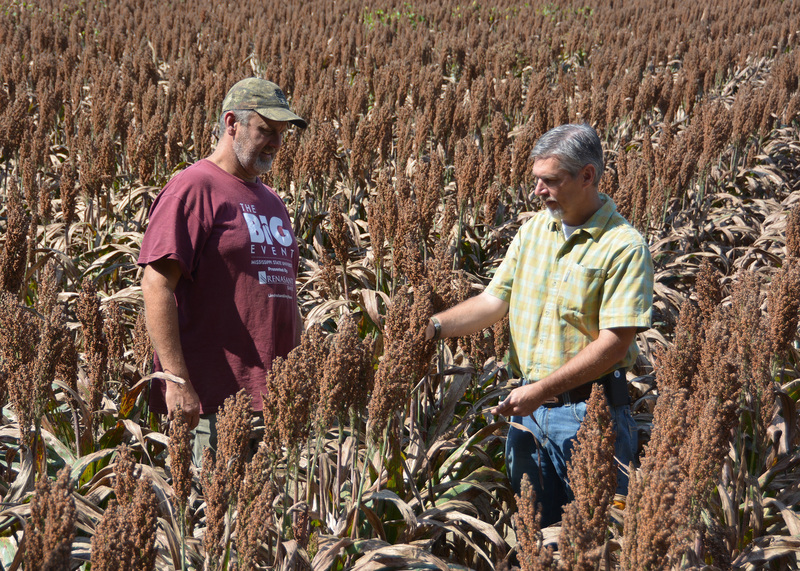 Erick Larson, an associate Extension and research professor at MSU, said the state’s ability to produce strong yields last year and favorable prices last spring influenced growers to maintain their faith in grain sorghum. The agronomist said an extremely wet 2015 planting season challenged nearly all of Mississippi’s row crops. After planting, high temperatures during July caused considerable heat stress on crops across the state, including more than 90,000 acres of grain sorghum. “We would not have expected acreage to remain steady after last year’s sugarcane aphid pressure, but prices were so good, growers could not resist,” Larson said. 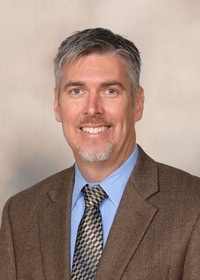 Brian Williams, an agricultural economist with the MSU Extension Service, said sorghum and corn compete for farmers’ interest. Historically, sorghum prices are lower than corn prices, but that has not been the case lately. On Sept. 24, sorghum was $3.98 per bushel in Mississippi, and cash corn was $3.78 per bushel, Williams said. The cost of production for sorghum is typically lower than for corn. The economist said prices reflect demand as the export market, and China in particular, has favored sorghum for feed.